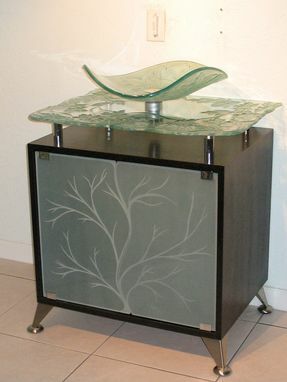 Shapely carved glass sink mounted on matching carved glass top attached with stainless steel posts. Cabinet is constructed with etched glass doors. black walnut veneer, protected with polyurethane coating. Legs are stainless steel with satin finish.